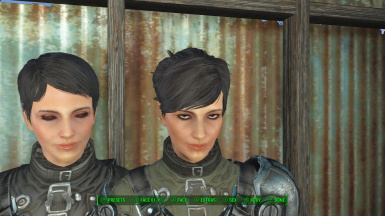 I made and uploaded this because I like Curie's vanilla face, but hate the hair. As I said above I like vanilla curies face, just not her hair. Following the steps below without the preset, all makeup, makings, and blemishes disappear. Even her skin tone changes. 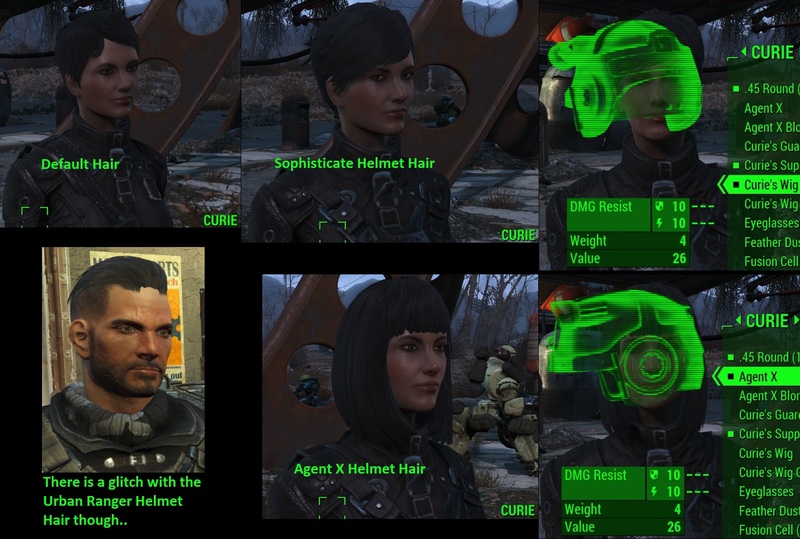 So, for the longest time, I just used the Helmet Hair option in Custom Combat Armor. 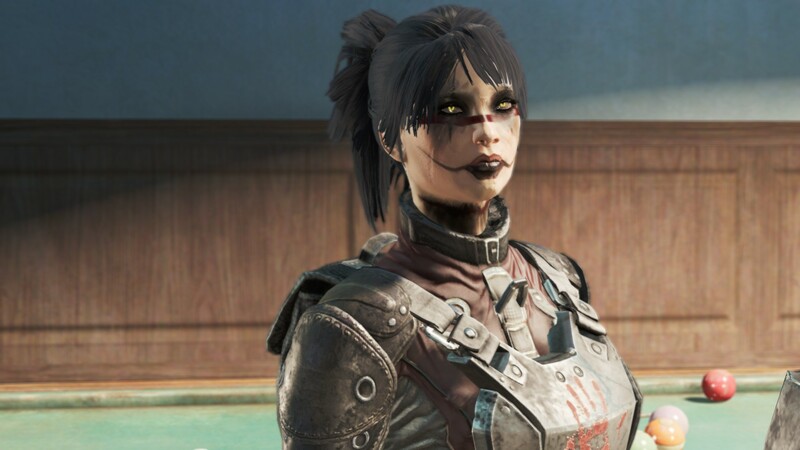 Anyway, having just made the move to F4SE(thanks KeriaMacleod), I got Looks Menu and immediately noticed I could make Presets. 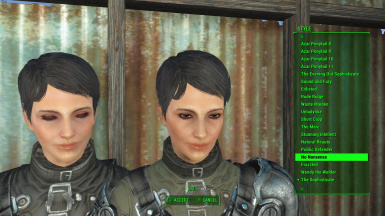 First I made one of Chloe, then I decided to try vanilla Curie to solve(partially) the headache that was her hair. I know it seems like a lot of steps, but its really not once you know what your doing.